And now for a totally different picture, ladies and gentlemen I would like to introduce tonight the Bubblebou Show. No, it is not about Chinese silhouettes although it takes place in the China area of Port Aventura Amusement Park. 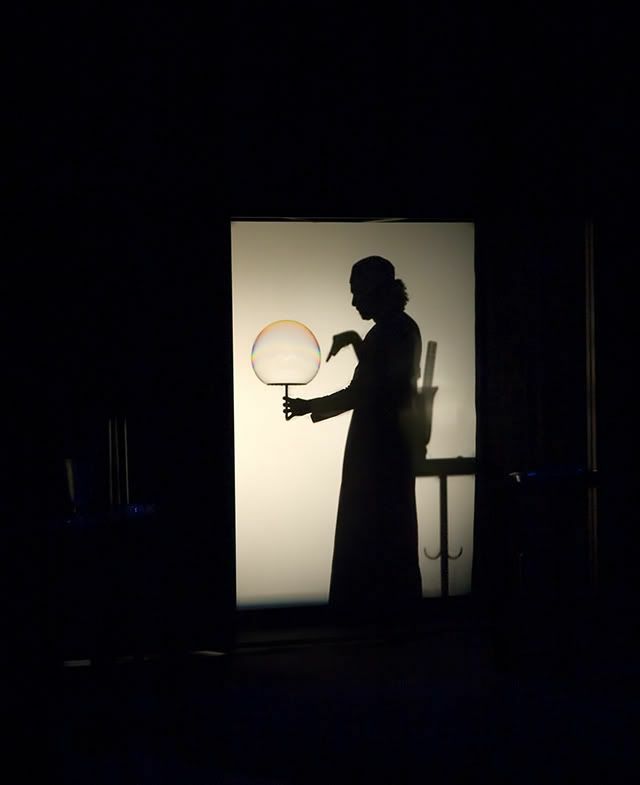 It is all about bubbles, huge bubbles of impossible shapes that this man behind the screen tames with dexterous and exquisite talent. Please come back tomorrow to know more about Bubblebou and its creator, Pep Bou, the master of bubbles. Ah...no updates...you must be having fun on vacation! Great silhouette. Very nice image. Deve ser belo o espectáculo. Impressive, as always. A list of attractions not seen in Barcelona must be quite short.